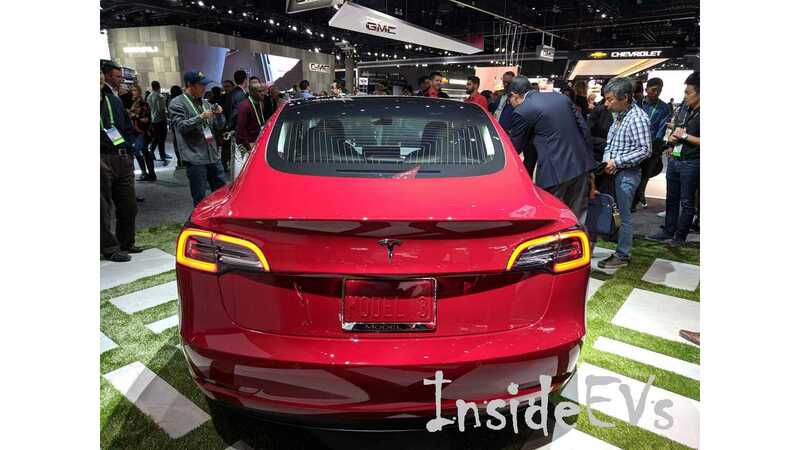 Tesla rarely shows up at motor shows so this came as quite a surprise. 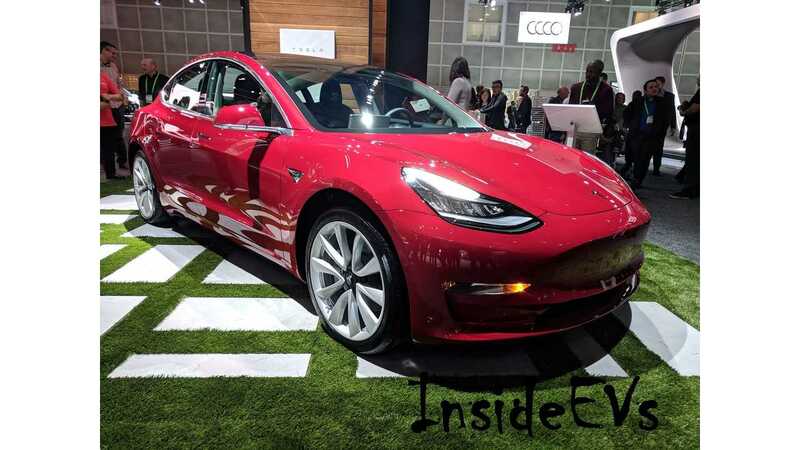 Even more surprising is that the automaker skipped the show in San Francisco, and then showed up in LA with a Model 3. 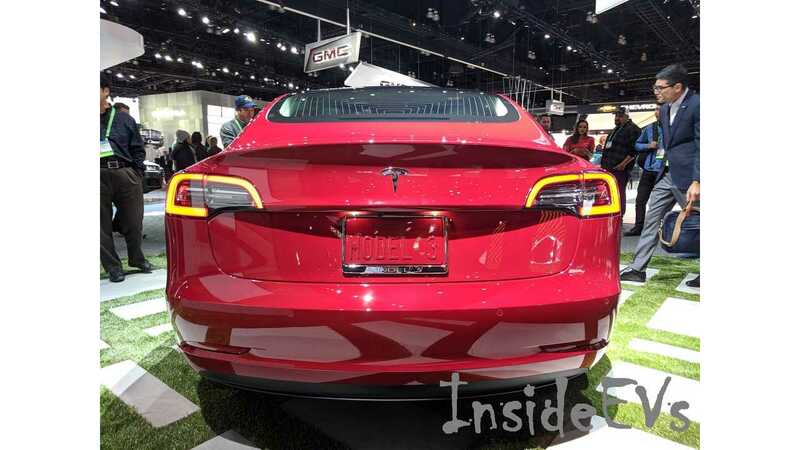 If Tesla had appeared with a Model S or X, we wouldn't have been so shocked. 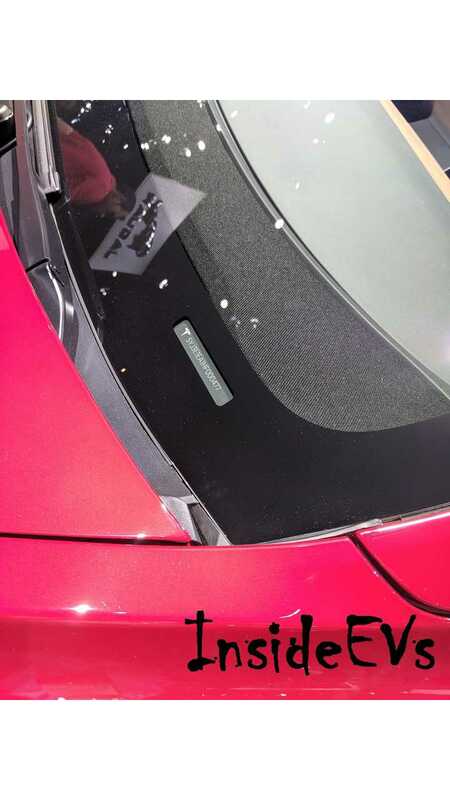 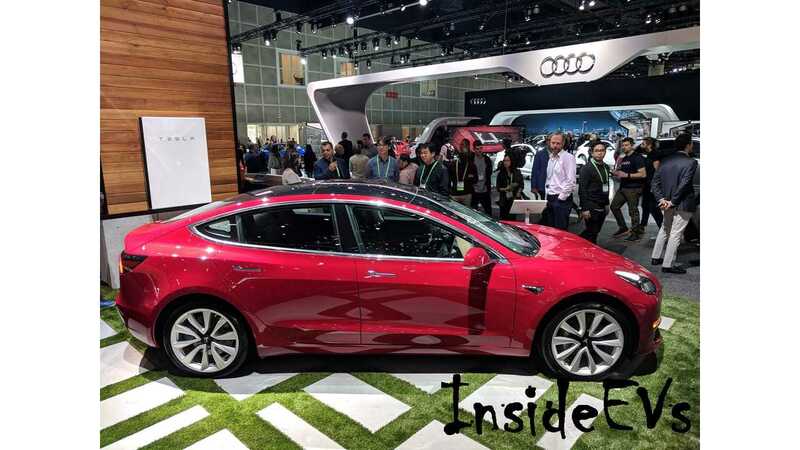 With the recent Model 3 production issues and the fact that the automaker has been aggressively "anti-selling" the new vehicle, most didn't expect this. 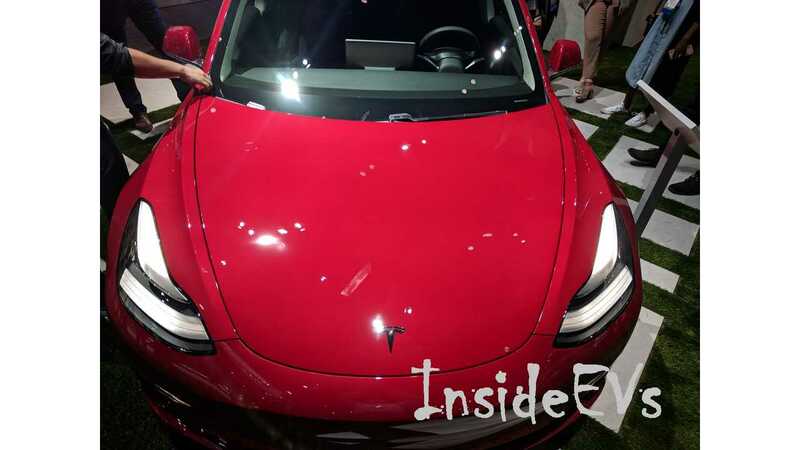 Additionally, Tesla just generated a ton of buzz at the recent electric semi event with its mammoth hauler and the new Tesla Roadster. 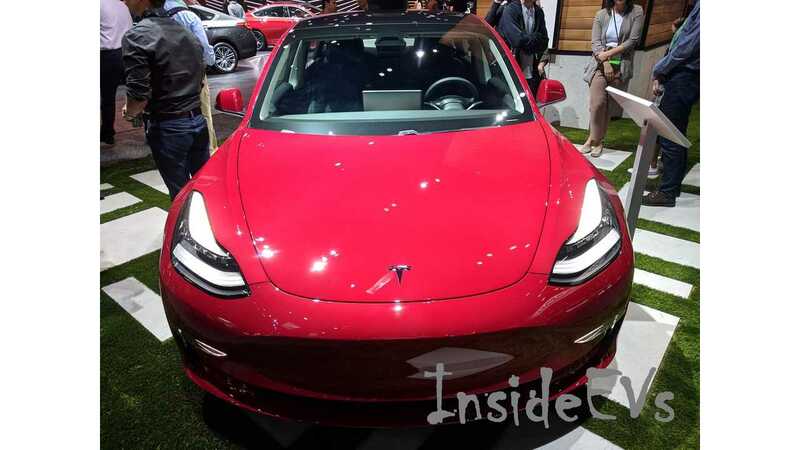 Nonetheless, we spotted the brand new, red Tesla Model 3 at the 2017 Los Angeles Auto Show and have photos to share. 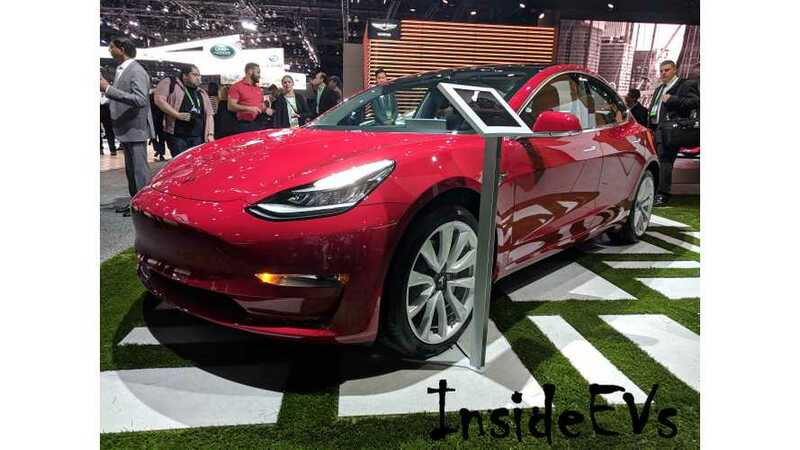 It's debatable whether or not a red Model 3 should be presented on the green stage, but the interest will be tremendous when the public realizes that the Model 3 is in-house. 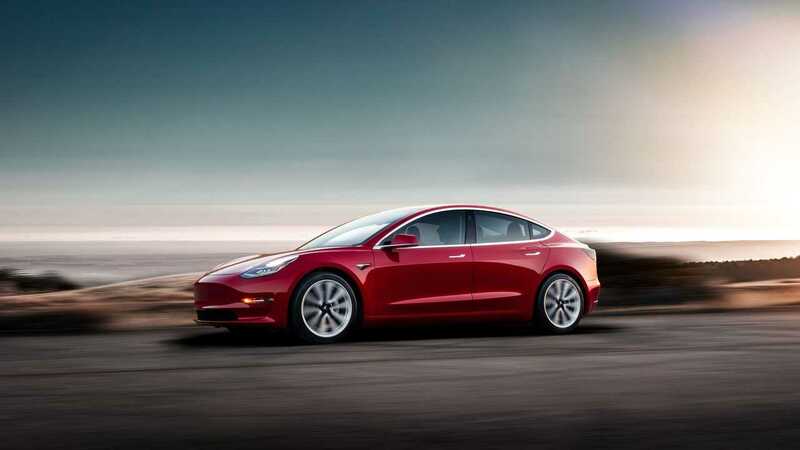 At least, in theory, the Model 3 has potential to sell in numbers comparable to all the other pure electric cars combined. 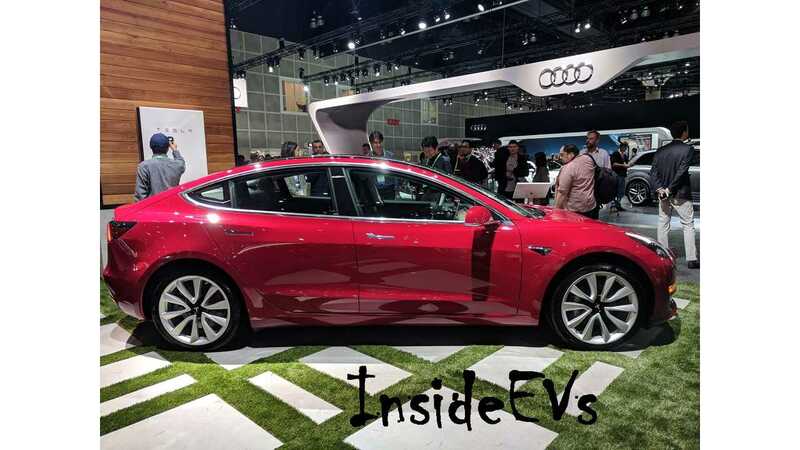 However, in the first four months, sales amounted to just ~367 (30 in July, 75 in August, 117 in September, and 145 in October), but perhaps Tesla has a surprise in store for November - we will find out tomorrow (Dec 1st) when sales are reported (all historical plug-in sales can be found on our US Monthly Sales Scorecard here).